About fifteen years ago I got in contact with Eli van Tijn. I think it was through Albert Ballintijn, with whom I did a weekly radio show back then. Eli van Tijn was the sound engineer in the studio where the Ibbeltje radio plays where recorded in 1961and 1962. These sponored shows where broadcasted on Radio Luxemburg in 1962, and Venz made two 45’s with adapted versions of the first three shows. For a long time it was believed that the recordings of these shows were lost. That is nothing special in Holland: many of the best radio and television shows have been erased. But I found out that Eli van Tijn had made extra copies of the tapes of these shows for himself in 1962, which he kept in a safe. He knew that these tapes where valuable, but he also knew that it would be very difficult to release the material on cassette or CD, because of the ridiculous copyright situations in our country. He told me that he saw it as a little future assurance for his children. 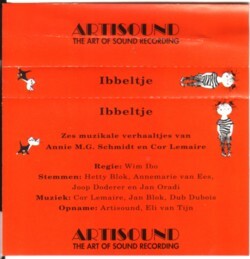 Eli had a recording studio, Artisound, and he once made a tape with six of these Ibbeltje shows as a new years gift for his clients. Like almost every Ibbeltje fan, I had never heard anything else than the two 45’s. And these six shows were just as brilliant! The idea that there were 24 more of these beautiful radio shows that I might never hear really pissed me off; but I never dared to ask Eli for a copy of the tapes, because I would surely would have made copies for all my friends, and that would bring Eli (and the future assurance of his children) in danger. The stories where also not available in book form. 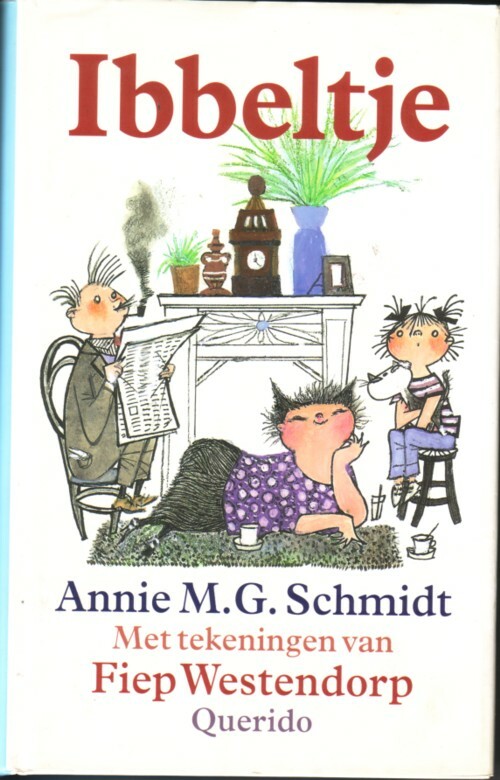 That is absurd: the writer, Annie M. G. Schmidt, had been one of Holland best selling authors for decades and Ibbeltje belongs to the best things she has written. In 1996, 34 years after the plays were broadcasted, Querido finally published the Ibbeltje book, complete with (new) illustrations by Fiep Westerdorp. Suddenly the radio shows, that had been lying in Eli van Tijn’s safe for 34 years, were also released, on both cassette and CD: on the cassette versions are two shows less than on the CD-series. And on both series there is the 30th episode missing. This story is also left out of the book. I asked Eli about that and he said that the reason was that in the story there were cannibals, who were black, and in the radio show they talked like people from Surinam. The publishers were afraid that their language and accent would be an offence for black people. So they did as of this 30th episode didn’t exist. Eli died some years ago, and I never dared to ask his children, who I don’t know, for a copy of that 30th radio show. 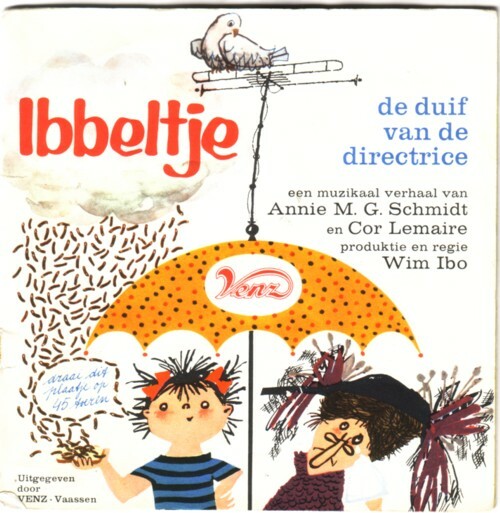 I listened a lot to the Ibbeltje shows with my son and daughter, and I still love it. Especially the Sinterklaas episode was a huge hit in our household. I would love to hear this cannibal episode!! !